For many people, the changing seasons and move into cooler weather can hamper their exercise routine. Running, cycling, swimming, even outdoor PT sessions and bootcamps, take a back seat in the cooler months and many find winter brings added weight, especially if alternative exercises can’t be found. In this guide we will look at the top five gym-based exercises individuals can participate in for weight loss during winter. High intensity intermittent exercise (also known as HIIE or HIIT) has become increasingly popular in recent years, particularly for its ability to increase fitness and reduce body fat levels. A study published in the Journal of Obesity in 2011 by Stephen Boutcher found evidence supporting the use of HIIE protocols for reducing both subcutaneous and abdominal fat. Unlike steady state, moderate intensity aerobic exercise which results in negligible fat loss, HIIE significantly reduces fat levels while increasing both aerobic and anaerobic fitness, lowering insulin resistance, improving glucose tolerance and enhancing fat oxidation. The most effective form of HIIE, which can be performed by the majority of individuals (including overweight individuals) involves 20 minute sessions combining 8 seconds of sprints/high intensity work followed by 12 seconds of low intensity work. The removal of a specific intensity level from the protocol allows individuals to work at a level that matches their ability, making it suitable for beginners through to elite athletes. 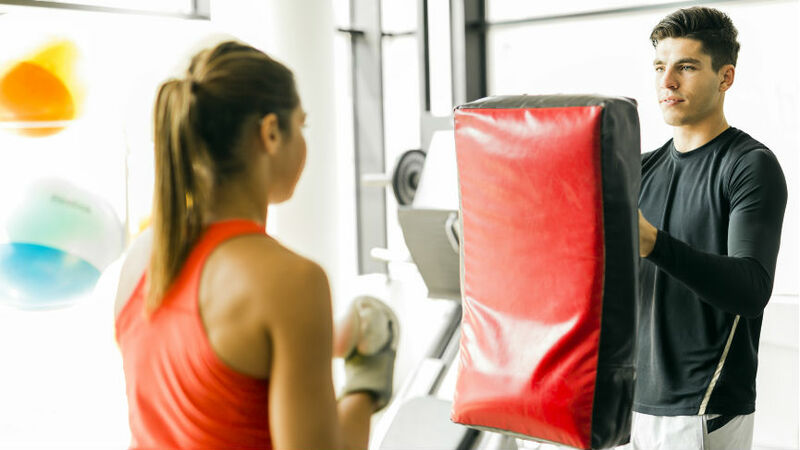 Additionally, HIIE can be performed in a variety of ways – on a treadmill or stationary bike, on a rowing machine, in the pool, or even with a punching bag/speed ball. Water based activities are extremely beneficial for many individuals including those who are overweight or recovering from injury. The buoyancy of the water provides support for the body, reducing impact on joints and providing additional resistance. 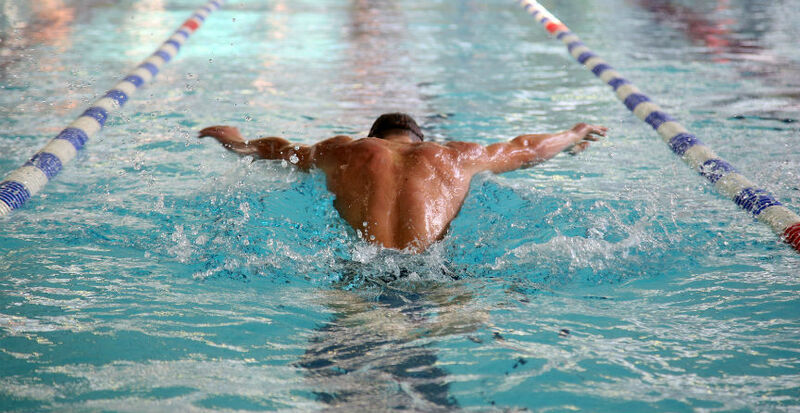 Swimming is an effective exercise for weight loss and programs can be adapted to suit the individual. Short sessions of 20-30 minutes work well with HIIE, allowing individuals to increase the intensity of the sprint cycle to suit their fitness level. Heart rate training can also be performed in the pool (for those with heart rate monitors) – allow individuals for warm up for five minutes, then instruct them to work at 70-80% of their MHR for 10-30 minutes before cooling down. During the high intensity work, individuals adjust their intensity level to maintain their heart rate range. Another additional option is to combine swimming with resistance training, such as alternating laps (full strokes, kick-board or arm strokes) with poolside crunches, push ups, biceps curls etc. The intensity level during an aqua aerobics class varies but individuals can increase the intensity level during classes by adding ankle weights, dumbbells and buoyancy belts. These props will add resistance, forcing the participant to work harder. The added resistance will also increase EPOC and enhance weight loss. The benefits of resistance training for weight loss are well known. Adding lean muscle mass increases RMR, allowing the body to burn calories more effectively and enhancing fat loss. An ideal protocol for weight loss resistance training involves prescribing 3 sets of 10 reps at 10RM or lighter. The focus should be on large muscle groups, as this will increase RMR. As the goal is weight loss, it is not necessary for participants to rest between sets. In fact, not resting will add to the aerobic effect of the session, further increasing weight loss through EPOC(1). Gyms offer a variety of options for cardio training and can enhance weight loss providing individuals follow a fat loss program. Heart rate training and HIIE are the best options for gym based cardio weight loss but participants can lose motivation. Alternating machines or setting goals for each session can combat this. For instance, individuals can be instructed to complete a certain distance on the rowing machine or treadmill, follow a hill program on the stationary bike or cross-trainer/elliptical machine or use a combination of machines to achieve a target heart rate. 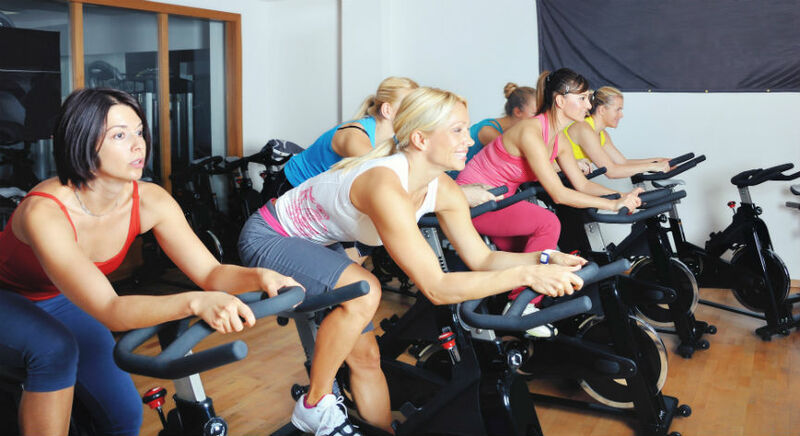 Encouraging individuals to move away from steady state moderate intensity cardio will also benefit their weight loss efforts and stop them becoming complacent when using cardio equipment. Many outdoor sports specific training sessions can be moved indoors during the cooler months. If a training session can be completed outdoors with limited equipment or space, there is a very good chance this can be moved inside to a gym or group fitness room. Running/sprint training can be completed on a treadmill or in the pool using a buoyancy belt; HIIE can be completed in the gym; and additional resistance training can be completed with body weight training, boxing sessions/sparring, jump rope, and cross-fit style sessions. With a little forethought and some minor adaptations, it is possible to move outdoor training indoors during the cooler months. By combining resistance training with HIIE sessions, individuals can continue their training and weight loss efforts, regardless of the weather outside. (1) Young, W. (1999) Fundamentals of Fitness. University of Ballarat.